KOTA KINABALU: National awards were presented to 953 Sabah police personnel as a token of gratitude for their service in the State. The recipients, comprising senior officers, junior officers and public officers, received the awards from Chief Minister Datuk Seri Panglima Mohd Shafie Apdal. 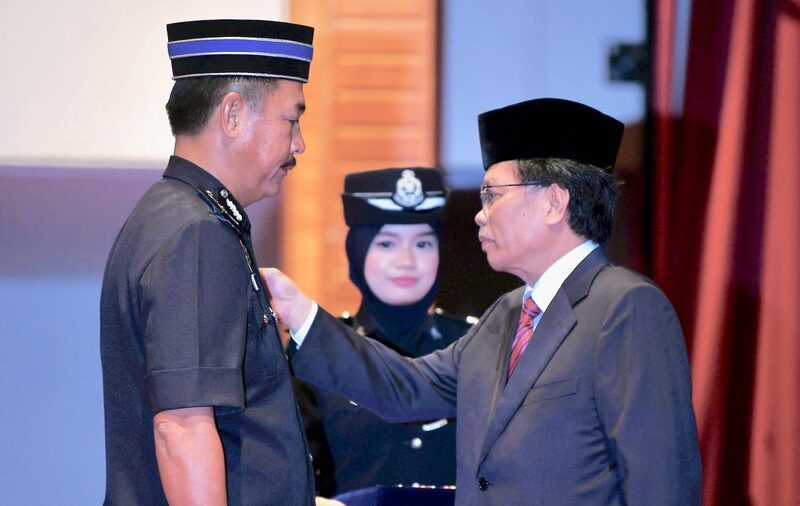 The awards were a form of recognition for the sacrifices made by police officers, which sometimes included bloodshed, Shafie told a press conference following the ceremony. He said the awards could not possibly compensate for the lives lost in the line of duty, but they were a way to acknowledge the service of officers at all levels. “Their sacrifice is that which we need to appreciate because we know that the police not only give up their time with their families, but their lives as well,” he said. Shafie said the State Government will support and give full cooperation in maintaining security in the State. He said other incentives would be given to police officers and family members who lost their loved ones due to the nature of the job. He said welfare is a priority, especially when there is no more head of the family, where the children’s future is challenged. “Hence, support in the form of scholarships and aid from Yayasan Sabah as well as the State government could be provided, said Shafie.